Not long ago, Smriti Mandhana’s World Cup dream was under doubt owing to a ruptured anterior cruciate ligament that she had sustained during the second edition of the WBBL in mid-January. She had already missed the Women’s World Cup Qualifier in February and the Quadrangular series victory in South Africa last month. But she recovered just in time to play her maiden World Cup after a five-month injury layoff. And since making her comeback onto the cricket field, the 20-year old from Maharashtra has hit the ground running. She said that the 82-run knock against West Indies in a practice game had given her the confidence and she has fully capitalised on it by playing two brilliant innings in the first two games of the ongoing World Cup in England. “The knock of 82 not out against the West Indies in a practice match gave me confidence that my batting was not lost. I can bat. It was really tough coming out of the injury but I’m really happy I’ve done enough in two matches for India and hopefully, I can continue that form,” said Mandhana. Leaving behind the injury setback, Mandhana has been batting like a dream in England. 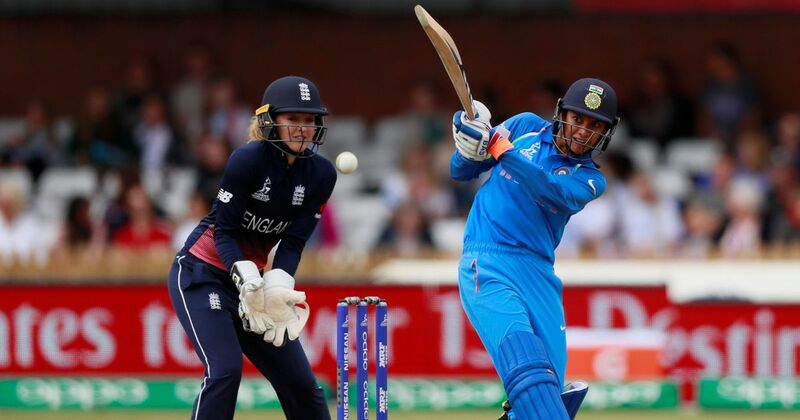 In the opening game of the tournament, she slammed a 72-ball 90 that set the tone for India’s impressive 35-run victory over England and in the second game against West Indies, she took a step further and scored an unbeaten 106 to help the team chase down 184 with ease. Mandhana is making waves on the cricket field with her exceptional exploits but what if she had not become a cricketer. Well her father, Sriniwas has revealed that the Indian opener, who often cooks for the family whenever she gets time, would have loved to be a chef. “Apart from cricket, she had a lot of interest in cooking. She loves her cooking like anything after cricket. She wanted to become a chef had she not succeeded in cricket. She even cooks for us when she is at home,” he said. Mandhana’s father revealed another interesting story regarding her batting. He said that both Mandhana and her brother batted left-handed despite being right-handed else wise.